Offering you a complete choice of products which include centrifugal process pumps. Being a highly effective, lean and fast-moving organization, we are highly instrumental in providing an extensive array of Centrifugal Process Pumps that are used to move liquids through a piping system. 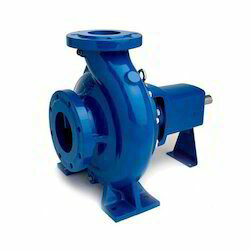 The offered process pumps are available in various sizes, shapes and designs as per the demands of our clients. Our provided process pumps are manufactured using quality tested components and advanced technology in line with industry norms. Moreover, these process pumps are strictly tested on different parameters.